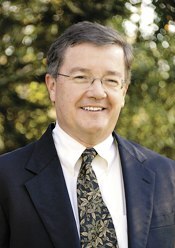 Living on the Edge of Empire faculty include leading scholars with extensive experience in working with K-12 educators. PVMA’s Raid on Deerfield: The Many Stories of 1704, (1704.deerfield.history.museum) has received widespread acclaim and awards for its approach to conveying multiple perspectives of a contested historical event. The Living on the Edge of Empire director and scholars were instrumental in creating these sites; Workshop scholars will benefit from PVMA staff’s considerable expertise in colonial history and lifeways in a museum setting as they lead additional sessions, integrate material resources including a variety of primary sources into K-12 instruction, and assist NEH scholar teams in developing their lessons. 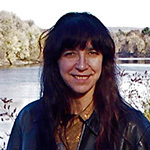 Professor Margaret Bruchac(University of Pennsylvania), a scholar of Abenaki descent, specializes in Northeastern Algonkian Indian histories, with a particular focus on oral traditions, material culture, and museum representation. 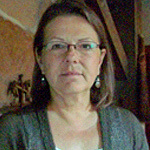 Bruchac’s research has been supported by Fellowships from the Ford Foundation, School for Advanced Research, and American Philosophical Society, among others.She is a regular presenter in Deerfield, offering cultural insights and nuanced understandings of Native relations to the local landscape. Photo by Marge Bruchac. Professor John Demos (Yale, Emeritus) is the author of the award-winning The Unredeemed Captive: A Family Story from Early America, a fascinating study of the experience of captivity based on the experiences of Eunice Williams, a Deerfield captive who made the decision to remain with her Mohawk family despite continuous efforts by her father, the Reverend John Williams, to redeem her. 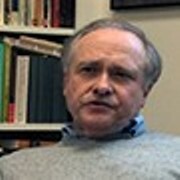 Philip Zea, the President of Historic Deerfield, Inc., will present on the material culture of early colonial settlement in the Connecticut River Valley and Deerfield in particular. A graduate of the Winterthur program in American Material Culture, he has over thirty-five years of curatorial, interpretation and teaching experience for academic and public audiences, including at Historic Deerfield, Colonial Williamsburg and Historic New England. 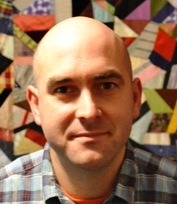 Aaron Miller, Historical Archaeologist has a Ph.D. from Memorial University of Newfoundland. He is Assistant Curator of Visual and Material Culture at Mount Holyoke College Art Museum and the Site Archeologist of the 18th century Taylor’s Fort located in Charlemont, Massachusetts. Aaron will introduce workshop participants to the disciplines of historical archaeology and give them a chance to analyze artifacts from the site. 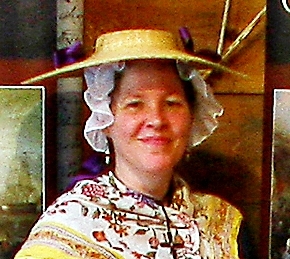 Wendalyn Baker, Director, The Fort at No. 4, Charlestown, New Hampshire. The Fort at No. 4 is a living history or open air museum set on the edge of the Connecticut River. Occasionally referred to as Stevens Fort on period maps, the museum, replicates the original core of settlement of Plantation No.4. Within the stockade village, the museum provides a glimpse into the daily lives of colonists working to survive on the northwestern most edge of the Massachusetts Bay Colony.